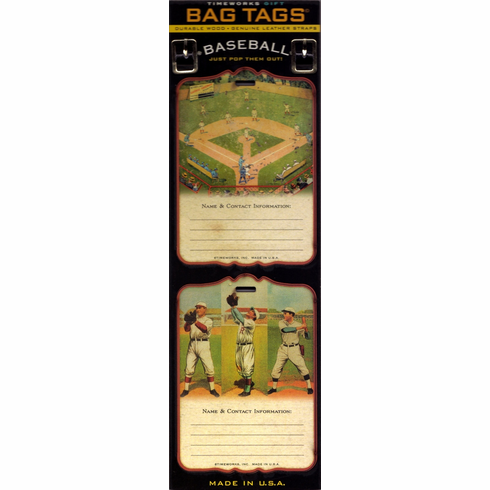 Set of two vintage baseball bag tags. Durable wood, genuine leather straps. Made in the USA.